In 1998 a language survey of 200 Hopi people gave the following data: 100% of Hopi elders surveyed (60 years or older) were fluent, while fluency in adults (age 40-59) was only 84%, with 50% in young adults (age 20-39) and 5% in children (age 2-19). Projecting these statistics out five years showed that within 1-2 generations the Hopi language would be completely lost unless young adults and children begin to learn, speak and practice their language. The Hopi Language Preschool is based upon four thematic units: Nu’ – self-awareness, friends & family; Itaa kitsoki — Hopi communities and culture, past and present; Paahunawit – water ecosystems, earth and life science; Naa´ya – social systems and responsibilities. Arts and activities are incorporated throughout the program to engage the children in the ways that they are naturally able to learn at that age. 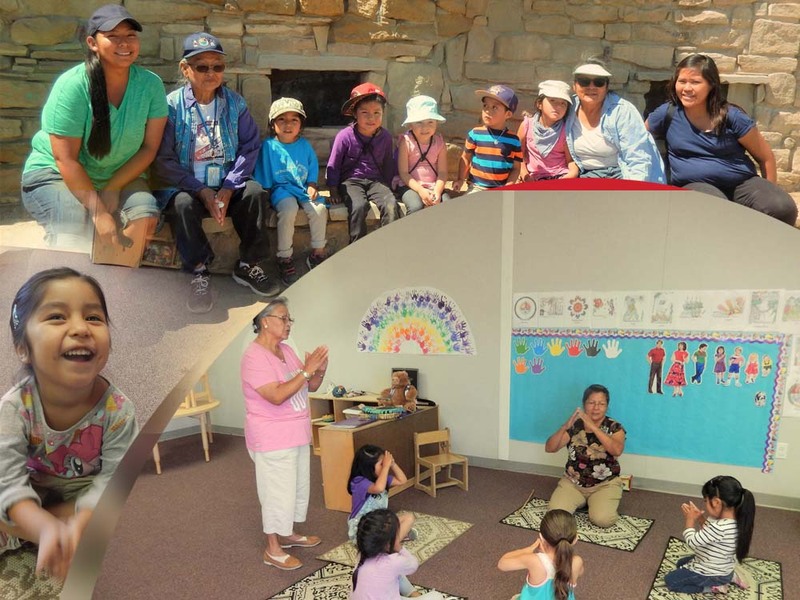 Field trips throughout Hopi are essential components of the Hopi Language Preschool program. From these journeys to various mesas, villages, homes, eco-systems and art workshops the children are immersed in the four thematic learning units in a holistic, interwoven and Hopi-centric way.